The March 2019 issue of The Grumbler is available now. Go to the Grumbler page to read it. 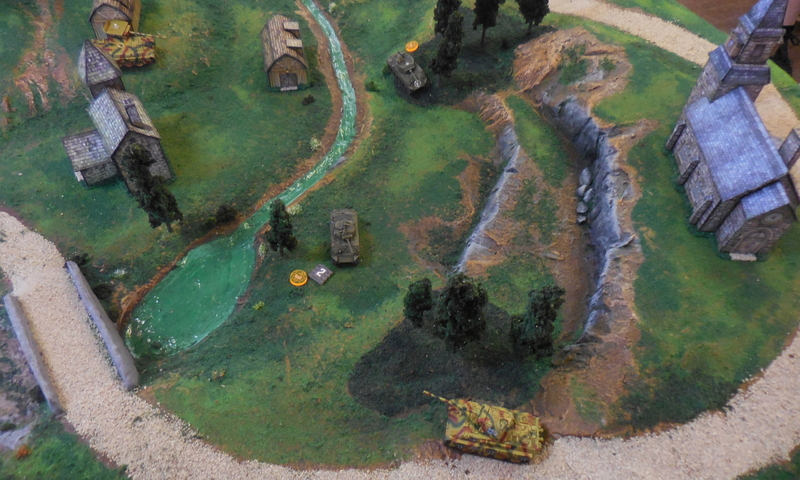 Crows Feast is back for four more rounds of big Kings of War games. Full details via the players pack on the Kings of War page. We have lots of Sunday openings coming up over the year. These are great days to attend the club if you can’t make Wednesday or Friday nights or just want to play an all day game. Normal door fees and guest visit rules apply. The dates for this year are 7th & 28th of April, 26th of May, 16th of June, 14 July, 4th & 25th of August, 22nd of September and 13th October. The Kings of War competition Warrior Kings is back on November 24th. This is a great competition for beginner Kings of War players to join in with the experience players. See details on our events page. Only a few days away now! We have door prizes for the day! So those of you that vote on “Best Table” and “Best Painted” will go into the draw which you must be present when your name is called. The prizes will be drawn between 2:30pm and 3pm on Sunday. Major door prizes this year is sponsored by Table Top Warfare a Star Wars X-Wing 2.0 Starter and a Millennium Falcon Ship! There are some Minor Door Prizes from Leadbear’s and Mil Hobs also. As they say you have to be in it to win it. The hall has been cleaned up, tables set up, traders invited and everything prepared for the Open Day next weekend. We hope to see many members and guests coming to enjoy the games on offer and traders to visit. See the Open Day page for details of this years event. 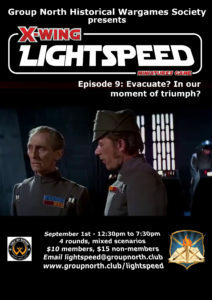 Just a bit under two weeks till the next Lightspeed competition hosted by Group North. 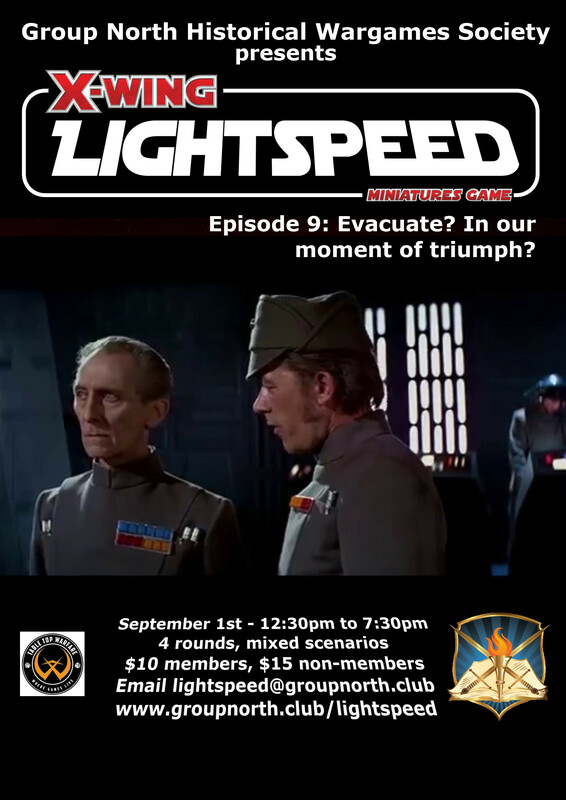 Come out and get in one of the last X-Wing version 1 games with the system that was the first X-Wing competition in the state. 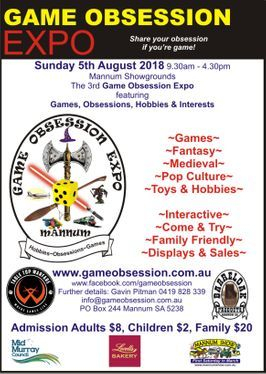 On August 5th Group North is going to be running some demonstration tables at the Games Obsession Expo. We hope to see you there and joining in our games. The Crows Feast competition is on May 26th. Now is your chance to prove your worth as the best Kings of War champion in South Australia. Full details of the competition are available in the Players Pack. We must regretfully announce that Warrior Kings have failed to reach the minimum number needed to ensure as suitable competition for those who turn up. Regretfully we are canceling the event for this weekend. Players who pre-paid will receive a refund of their payments. Thank you to those who did pay early to help gauge the numbers. Crows Feast will still run in 2018. Group North will review if this competition runs again in this format.